This is an agreement between you and magicwebserives.com which governs your use of magicwebserives.com. By accessing magicwebserives.com, you are agreeing to accept and be bound by this agreement. Therefore, please review this agreement to your satisfaction. If you are not willing to accept each of the terms, conditions and notices of this agreement we will not grant you the permission to use magicwebserives.com and you will need to exit magicwebserives.com. All contents included on magicwebserives.com, such as text, graphics, logos, button icons, images, etc. are the property of magicwebserives.com and is protected by copyright laws. The layout of all contents on magicwebserives.com are owned and copyrighted under _______________________.The license being provided for use of any product or services are specifically governed by these terms and conditions and the specific purchase order stroke invoice containing the commercial and legal terms between the parties. In exchange for your adhering to the terms of this agreement, magicwebserives.com grants you a limited, non-transferable license to use magicwebserives.com and the services /products offered by magicwebserives.com. Other than as expressly provided in the clause above, you cannot copy, display or distribute any contents obtained from magicwebserives.com. You cannot under any circumstances modify, perform, reproduce, publish, license, create, transfer or sell any contents or services obtained from magicwebserives.com. In addition, you may not “frame” or otherwise use the pages or other contents or services found on magicwebserives.com on any other website. This means permission to use magicwebserives.com or contents will be narrowly construed by the Court in favour of magicwebserives.com. If you infringe our intellectual property rights or exceed the scope of permitted use of this license, you agree that magicwebserives.com would be irreparably injured and may obtain a Court order to enjoin you from further mischief. Protection offered to magicwebserives.com by this agreement will survive termination of any license. As a condition of your license to use magicwebserives.com, you warrant to us that you will not use magicwebserives.com in any way that is unlawful or prohibited by this agreement. If you violate this or any other term of this agreement, your license to use magicwebserives.com shall terminate immediately. magicwebserives.com assume no responsibility for any consequence relating directly or indirectly to your use of magicwebserives.com or for any action or inaction that you take based on the services or other material provided by magicwebserives.com. You understand this and agree that you use magicwebserives.com at your own risk. You understand and agree that while magicwebserives.com appreciates your comments and suggestions concerning the services we provide, but magicwebserives.com cannot acknowledge or return any submitted or suggested drawings, notes, text or other ideas that you send to magicwebserives.com. If you send magicwebserives.com any such material or suggestions they shall be deemed the property of magicwebserives.com and magicwebserives.com shall not owe you any compensation or otherwise be liable for any use that we make of the drawings, notes, text or other ideas. magicwebserives.com being engaged in the business related to email marketing would not be responsible for any kind of consequences /losses/damages/claims whatsoever being sonsequential/incidental/ancilliary to the intended use of email marketing software products or services. Under the scheme of email marketing the role of magicwebserives.com is limited to providing software and services in relation to email marketing. Any information database etc. shall not be provided by magicwebserives.com. Further magicwebserives.com shall also not be responsible for any kind of incorrection inaccuracy errors omissions etc. in the database or information being transmitted by using the email marketing .Any information in relation to product or services being exchanged transmitted through the use of the products of magicwebserives.com shall be the sole responsibility of the party transitting such information and magicwebserives.com shall be kept indemnified by such buyer/party. magicwebserives.com is also working under the reseller module under which we are appointing resellers for promoting marketing and selling the product. Under the reseller module the relation is that of principal to principal basis and magicwebserives.com, shall bear no responsibility whatsoever for any commitments/ terms and conditions etc. being delivered over and above the terms and conditions of magicwebserives.com. It is a concern to us if you use MWS to send any unsolicited email to anyone with whom you have no relationship. It is much more of a concern, and more likely to cause our system to be blocked by various ISP's, for you to send an unsolicited email to an entire list of people you don't know. ii. Sale or Negotiation Occurred More than One Year Earlier you sent them a promotional email, which was not objected to, within the prior 12 months. If you send Emails to a list, and you get an unusual amount of SPAM complaints (more than 1 out of 1,000), ISPs will begin blocking future emails from your company. They will also request (that's putting it mildly) that MWS shut down your account. So if you don't have proof that each recipient on your list has opted-in to receive your emails, or otherwise meets the above requirements, don't import them into MWS. · No purchased lists (no matter how expensive). · No rented lists (even if they "opted in"). · No 3rd party lists whatsoever. · No outside unsubscribe processes. You should only use MWS to send newsletters, updates, and promotions to people who specifically requested email from you, or otherwise meet the requirements of 11(b) above. Don't have a permission list yet? Maybe your company's too new and you have no customers. Feel free to set up a MWS account, run through the List Setup Wizard, and add a signup form to your website so that you can grow your list. · Sending your first campaign to an old list? Many recipients won't remember you, and will report you for spamming. Do everything in your power to remind them of who you are, and how they got on your list. · Clean your customer list before you import. Take out any addresses older than 6 months. Bad addresses lead to bouncebacks. Too many bouncebacks, and ISPs block MWS (and you). We'll shut your account down if you import an old list that gets too many bounces(More then 5%). · Don't just import your entire Outlook Address Book. Export them into a spreadsheet, then take some time to clean out bad addresses (like Sales@Amazon, or Support@Comcast). If you import even one address by mistake, that person can get you blacklisted and shut down . · Importing from a CRM? Break it into separate segments or interest groups so you can send relevant content to your customers ("We met at a tradeshow, You bought xyz from us in the past, You are a client of..." etc). Don't just mix a bunch of different lists together and send one "blast" to all of them. · Sending on behalf of a client? Educate your client about responsible email marketing. They're depending on you to be the expert. Here are some email marketing resources for you. CRM tools are great for maintaining relationships with prospects and leads, then converting them into paying customers. Or just nurturing your customer relationships. But CRM tools are built for one-to-one communication. Email marketing tools like MWS are built for one-to-many communication. They are not the same. Spam laws apply when you do one-to-many email marketing. Before importing any list into MWS from your CRM or any other database you maintain, understand our permission-lists-only rules. Remove any prospects or leads who did not explicitly request email marketing from you or otherwise meet the requirements of 11(b) above. 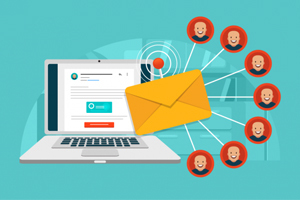 Even if you're sending email marketing to customers who have consented to receive your Email, you are still required, under applicable law, to allow them to opt-out of your email marketing list (you may need to turn that feature ON in your CRM tool). The simple fact that a recipient is "in my CRM" is not the same as "they gave us permission to send them email marketing." · Work from home, Internet Lead-gen, Make money on online opportunities, etc. Generally speaking, if you're in an industry that is frequently associated with spam, you know who you are (it's probably why you're reading this far, right?). 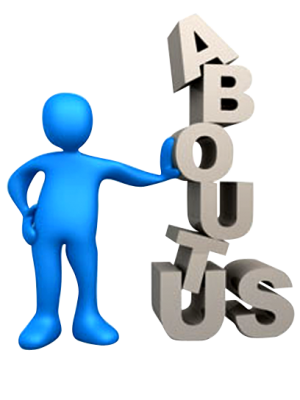 We make no judgments about your line of business, but we cannot afford to risk our deliverability. In fact, most ESPs like MWS will not be able to help you. You will most likely need to look into setting up your own mail servers. The term to search on is "email delivery server." There are many industrial strength MTAs to choose from with built-in delivery and reporting tools for high-volume senders.